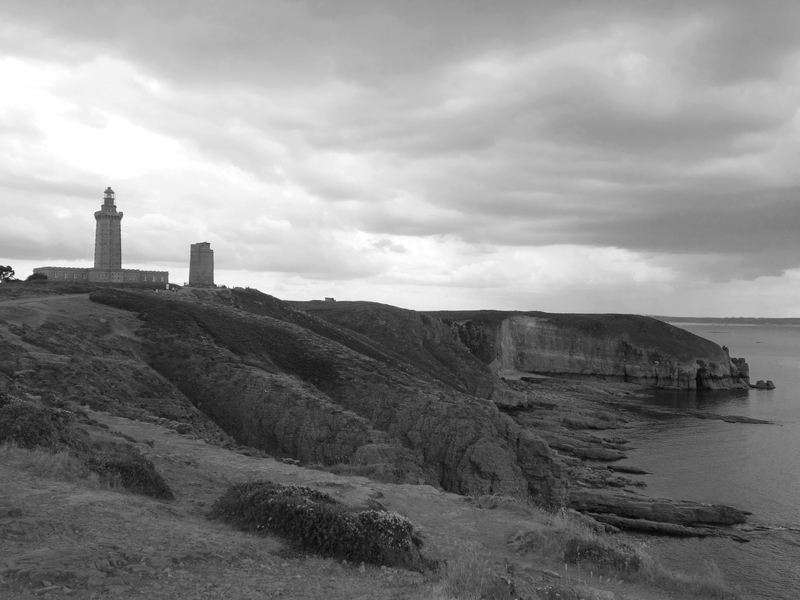 Brittany in France is one of the most beautiful places I have visited. 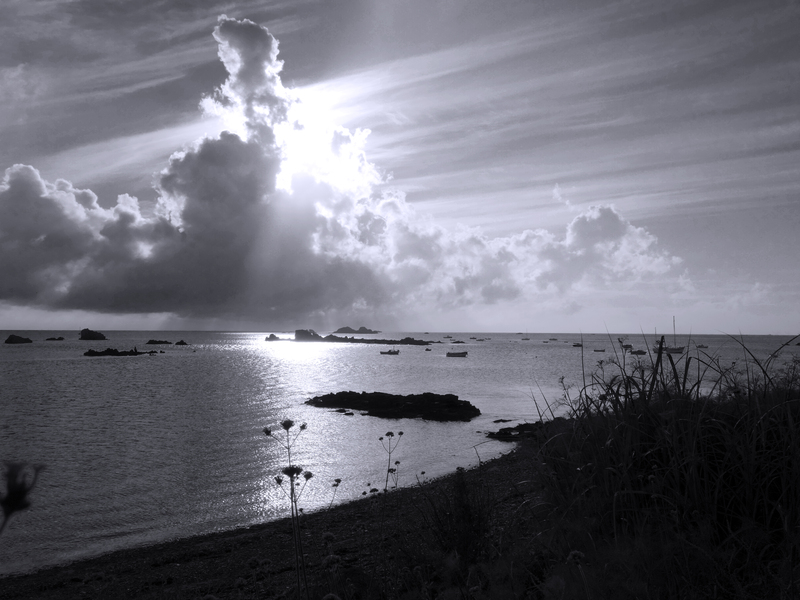 Staying in L’Arqouest, directly opposite Ile de Brehat I have made trips to Mont St-Michel, Cape Frehel, Paimpol, Tréguier and many more exciting places. 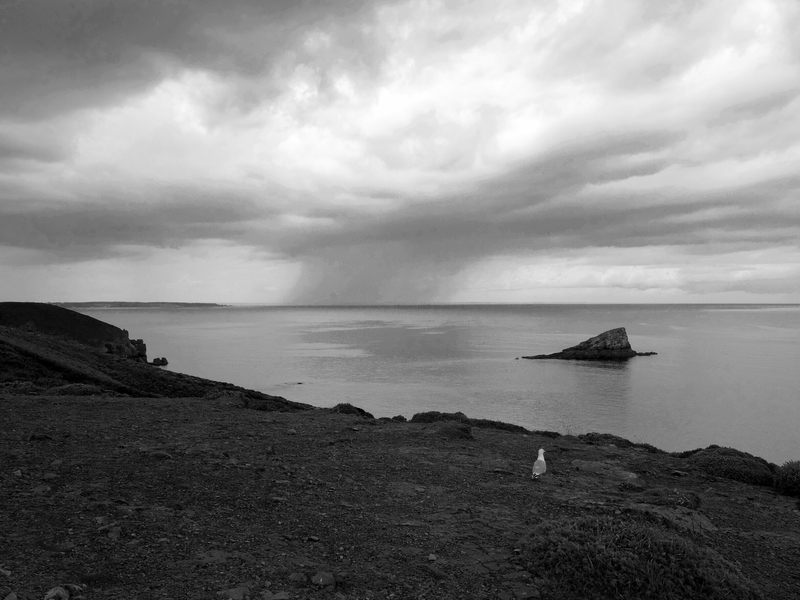 My entry for this Weekly Photo Challenge, contrast, focusses on the contrast between sea and sky. 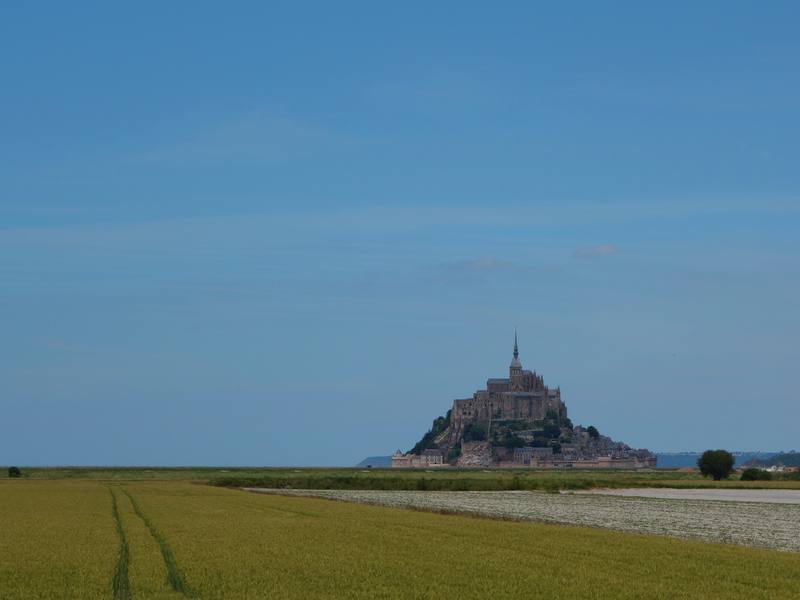 Mont Saint Micheal in Normandy. Very close to the falaises of Brittany. 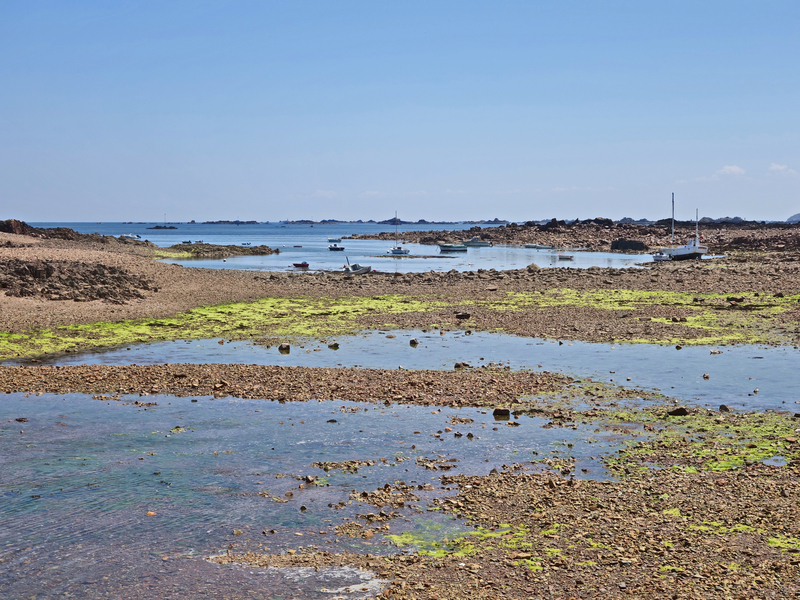 The tide in Brittany can be extreme. The difference between high tide and low tide can be 13 metres! 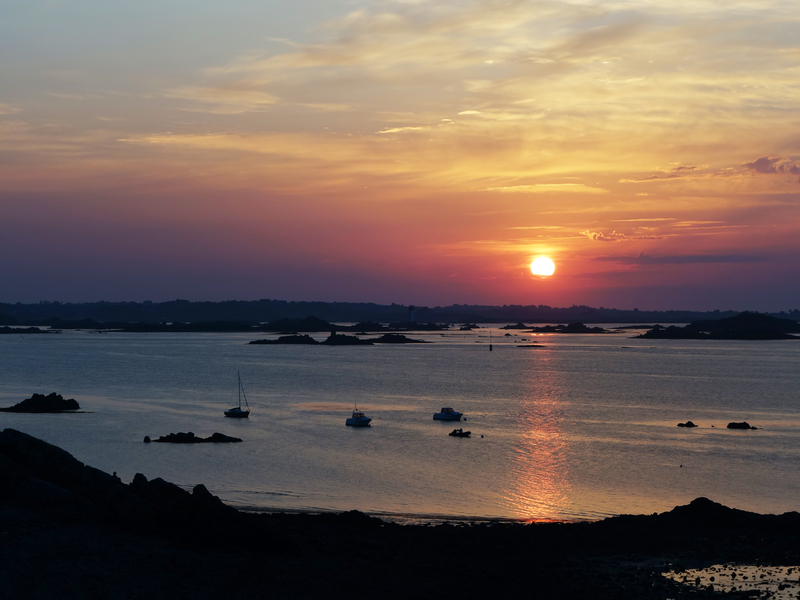 The region of Brittany is made up of 80% of the former Duchy and Province of Brittany. The remaining 20% of the province is the Loire-Atlantique department which now lies inside the Pays de la Loire region, whose capital, Nantes, was the historical capital of the Duchy of Brittany. Part of the reason why Brittany was split between two present-day regions was to avoid the rivalry between Rennes and Nantes. Although Nantes was the principal capital of the Duchy of Brittany until the sixteenth century, Rennes had been the seat of the Duchy’s supreme court of justice between 1560 and 1789. Rennes had also been the administrative capital of the Intendant of Brittany between 1689 and 1789, and Intendances were the most important administrative units of the kingdom of France in the seventeenth and eighteenth centuries. As for the provincial States of Brittany, a legislative body which had originally met every two years in a different city of Brittany, that had met in Rennes only between 1728 and 1789, although not in the years 1730, 1758, and 1760. Despite that, the Chambre des comptes had remained in Nantes until 1789. However, from 1381 until the end of the fifteenth century Vannes (Gwened in Breton) had served as the administrative capital of the Duchy, remaining the seat of its Chambre des comptes until the 1490s, and also the seat of the its Parlement until 1553 and then again between 1675 and 1689. Although there were previous plans to create Régions out of the Départements, like the Clémentel plan (1919) or the Vichy regionalisation programme (1941), these plans had no effect or else were abolished in 1945. The current French Regions date from 1956 and were created by gathering Departements together. In Brittany, this led to the creation of the new Region of Brittany, which included only four out of the five historical Breton départements. Some people in Brittany and Nantes continue to protest against the division of the ancient territory of Brittany, hoping to see the Loire-Atlantique department added to the region of Brittany, in order to reunify the historic area of Brittany. However, such a reunification raises other questions: first, what to do with the remainder of the present Pays de la Loire region, and second, which city should be chosen as the capital of such a reunified Brittany. Je hebt toch wel voldoende fotorolletjes bij je? We zijn al weer terug 😦 Maar wel gezellig weer bij de katten natuurlijk. Ik ga nog een paar foto’s plaatsen. Geweldige omgeving! Mooie foto´s. Lekker zo´n vakantie.